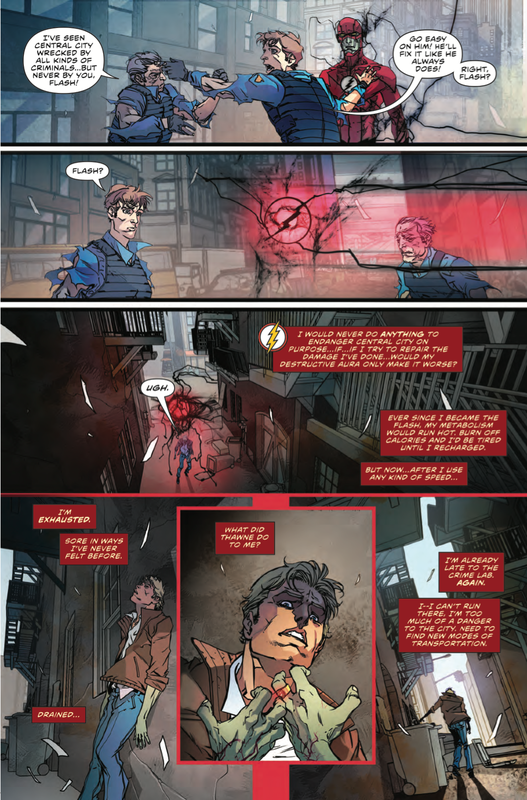 Right at the start, we have Barry trying to stop The Road Reapers with his new powers. This feels like a completely new Flash and I love it. His new negative speed force powers is so destructive and he doesn’t even realize it until he’s destroyed a good amount of the street he was running on. This new power makes him feel inexperienced since he can feel there’s so much more to this new power than he knows. The negative powers look very evil and he hasn’t acknowledged this yet and I wonder if he will. It seems like it’s making him irritable and not even realize it’s changing his mood. That could also be the exhaustion it causes him after a run and I wonder if it’s slowly killing him. 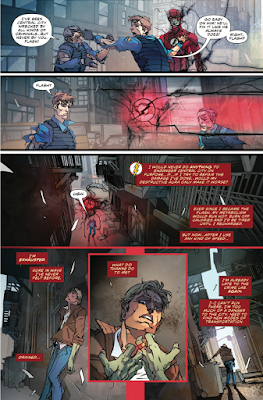 The path of destruction he lays, his bad attitude and these unknown powers really could lead to something tragic in Barry’s future. 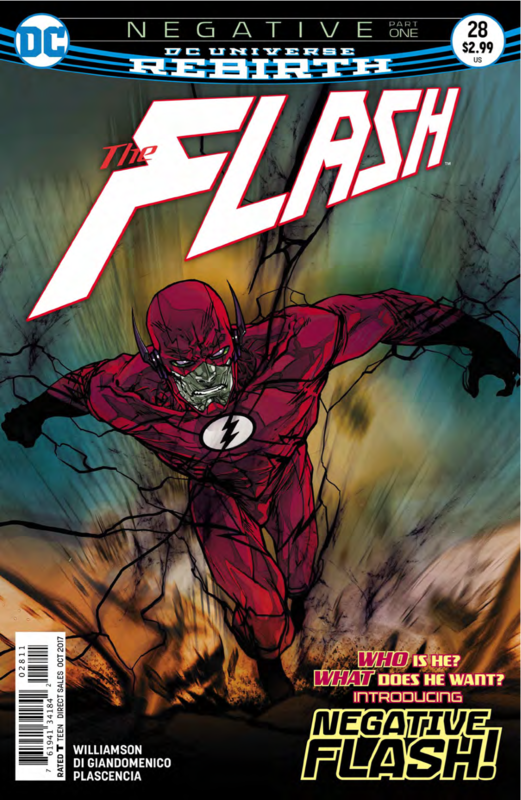 The issue ends with a metal metahuman called Shrapnel challenging Barry to a fight. 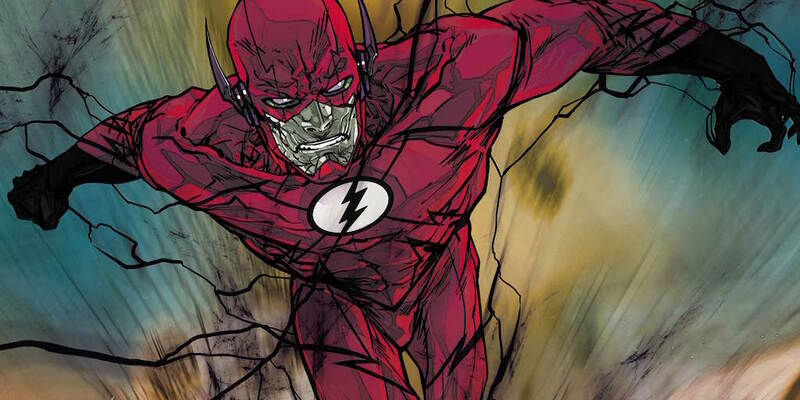 I’m still very curious how this story arc will develop for Barry. Will the powers kill him? Will he conquer them? Or, will he get rid of them? I can’t wait to find out, though! The art in this is great as well. It’s beautifully colored and I love the lightning effects this book has been giving us -- the glow of the streaks really pop out. Everyone looks great and I love how evil negative Barry looks. 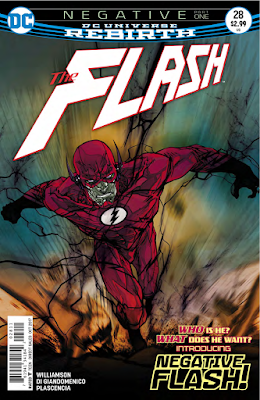 Overall, The Flash #28 was a fun and action packed read. It’s definitely a setup issue but that’s to be expected at the start of an arc so it can ease you in. It leaves me very curious how Barry is going to handle the negative powers and what it’ll do to him.